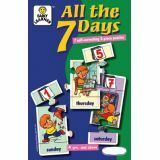 A charming puzzle to help children learn the days of the week and then place them in the correct order. 21 Pieces. 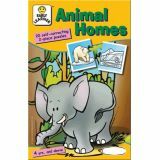 The interestingly illustrated jigsaw pieces add to the general awareness of children by introducing animals and the homes they live in. 40 Pieces. A puzzle to test observation and memory skills. It is fun to assemble the different items we wear and learn their order while dressing. 20 Pieces. 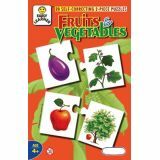 A fun puzzle for children to develop the general awareness regarding the common fruits, vegetables and the plants or trees on which they grow. 40 Pieces. 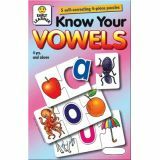 This puzzle helps children learn the sounds of the five vowels and identify words beginning with these letters. 20 Pieces. 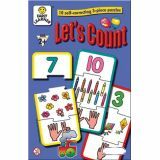 This brightly colored puzzle is perfect for teaching children numbers from 1 to 10 in three ways--as a digit, by counting objects an on fingers as well. 10 self -correcting 3-piece puzzles. Made from thick cardboard puzzle stock. 30 Pieces. Colorful pictures to excite the imagination of a child. 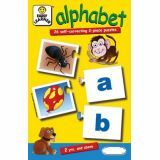 These self-correcting pieces are an ideal way to teach the lower case alphabet. 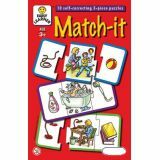 26 self -correcting 2-piece puzzles. Made from thick cardboard puzzle stock. 52 Pieces. This colorful game is specifically designed to develop coordination skill. The familiar scenes depicted will motivate children to independently match the pieces. 30 Pieces. 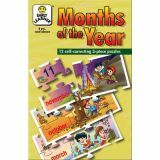 A fun-filled and ingenious method of learning the names of the months and their order. Put all the months together to get a colorful calendar. 36 Pieces. 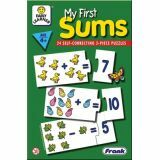 A colorfully designed puzzle which introduces children to simple addition and subtraction 48 Pieces. 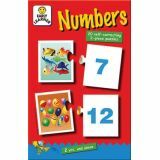 Bright and colorful puzzle pieces introduce the numbers 1 to 20 and associate quantities and figures with numbers. 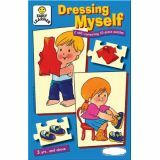 20 self -correcting 2-piece puzzles. Made from thick cardboard puzzle stock.40 Pieces. 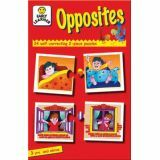 Everyday objects and actions are used in these self-correcting puzzle pieces to introduce the concept of opposites. 48 Pieces.